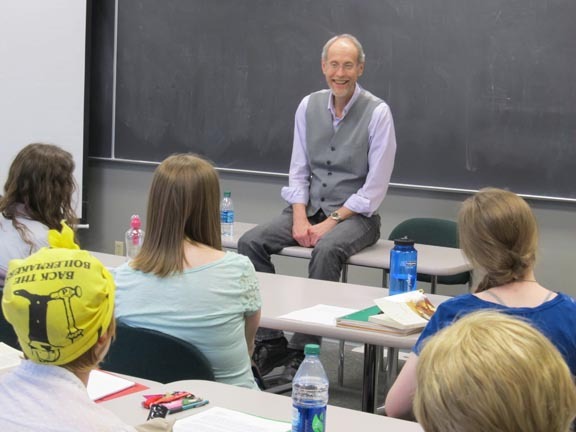 “Write what you don’t know”: Lee Martin, speaking to my class at Otterbein University, April 9, 2013. Celebrated novelist & memoirist discusses how he became an artist. I’m trying to learn from Lee Martin whenever and however I can, as a writer and teacher. I haven’t yet made it to his celebrated fiction—one of his novels was a finalist for the Pulitzer Prize—but I’ve read just about all of his nonfiction. His recent collection of linked memoir essays, Such a Life, is on my creative nonfiction favorites page, but it’s also on my private list of touchstone artistic works. Yes, it’s that good. 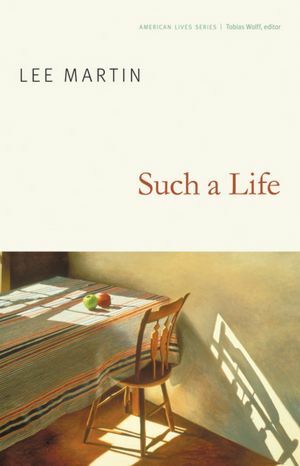 Such a Life is my personal textbook on how to write stand-alone memoir and personal essays. That’s how I’ve been using it this semester, in fact, as a textbook, reading it for the third or fourth time with a group of twenty junior and senior college students. The kids love the book, are fascinated by its stories, which are about Martin’s tumultuous growing up years and his middle-aged dilemmas, and some mix those two time periods. I pat myself on the back for choosing Such a Life and for starting my students off with its “Never Thirteen,” one of the most beautiful and affecting essays I’ve ever read, about Martin’s relationship with his first girlfriend. After reading that essay, my students were hooked. They’re still close to their first crushes, after all, and they found Martin’s depiction of the tenderness of the young sweethearts, set against the sour adults around them, thrilling and surprising. I think they’d never read anything like it. In an essay, I’m always interested in the opening to see what the writer wants me to pay particular attention to, and often that ends up being the layers of the persona which are in conflict with one another. All semester, my students have been fascinated by Martin’s openness, by his willingness to reveal things that make himself look bad, and a couple asked about that last night. He pointed out that that’s his past self, that we all have faults and have made mistakes. When you portray other people in nonfiction, he said, you are inescapably going to write about their faults, so you’d better write about your own. Besides, he said, he forgives his younger self, or at least views him with some wisdom, from time and age. He writes about what perplexes and bugs him, past and present, testing possibilities and moving toward an understanding he didn’t have. “Write what you don’t know,” he told my students. A good example is Martin’s essay in The Sun, “No Ears Have Heard,” which was spurred by an incident Martin witnessed while waiting to check out at Wal-Mart and grew into an evocative portrayal of the hidden burdens people carry. Martin told me that it took him twelve years after earning his MFA to pull all elements of craft together and to grasp the intangibles. Where does he stand in a fictional piece with a first-person narrator? How can he view life with Flannery O’Connor’s “anagogical vision,” which means seeing “different levels of reality in one image or one situation”? He said Richard Ford’s famous short story collection Rock Springs helped him find and free his voice. And along the way he learned with help from Charles Baxter’s Burning Down the House: Essays on Fiction that a story is not just about a conflict or its resolution but about something else that, by the end, is rising. Call it implication, perhaps, in part. Martin’s persistence and study resulted in his first book, a collection of short stories, The Least You Need to Know. This writing business takes a thick skin, persistence, a willingness to fail, to listen to why I failed, to figure out a way to not fail again while at the same time accepting that I will. Developing as a writer takes an intelligence, an ability to look at one’s work as if you’re not the one who wrote it, an acceptance that there are other writers who know more than you do, who are more talented, who are farther along. Steal from them whenever you can. Persistence, acceptance, humility: Lee Martin makes a point. I asked my students what they thought of Lee Martin after meeting him in person rather than just through the page. “He’s so soft-spoken,” one said—a few may have been concerned, after the darkness of some of his stories—“but he’s funny!” Yes, they agreed, he’s funny. He’s a lifelong teacher, and by all accounts a great one, so I must’ve expected humor to be part of his quiver of tools. Beyond that, he was funny like a Zen master is funny, which seems to involve laughing through well-dried tears. But they saw that too, my students. The medium was, in the end, the message. Isn’t it always? Martin revealed himself in tangible and intangible ways—through his craft advice, his candor, and his persona, at once crafty, wry, and sincere. Through great effort, he’s made himself into an artist. Maybe that’s no more rare or precious than becoming a successful businessman or “learning to think like a lawyer,” though of course to me it is. And it was to a classroom of students, here at Otterbein University, who’ve been touched by his art. I appreciate your words, Victoria! I am a beginner and feel like one, but try to tell myself to love the process, because truly it’s ALL process. Kudos to letting your students learn from experience rather than textbook/readings. Pretty sure you’re raising a inspiring bunch here. The funny thing is I’m trying to become more structured in my own writing, then I read a post like this…. ah well, live and learn! Thanks, Wilson. Remember, he was structured for probably over a decade! He’s a master now, having internalized so much craft, including dramatic structure, and can feel his way. Your mileage may vary. Throughout my young writing life, I’ve always been searching for a method to the madness, a system of sorts. Then someone comes along and reminds me what I’m doing all this for. 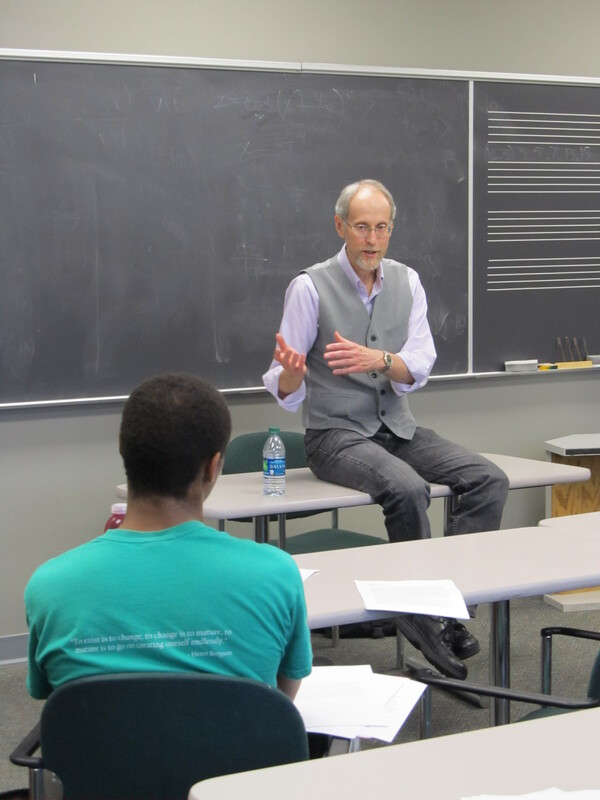 Amazingly, it’s a college professor giving advice unlike any of my own professors! I need to wrap my mind around this now. What an inspiring visit to the classroom. Wish I could have been there, but this post makes me feel like I was. Thank you, Richard. Wonderful, wise advice. I loved Such a House and was deeply moved by it. Thanks, Marsha. Your combining the titles of Such a Life and From Our House is great—makes me realize I should have mentioned that first memoir, which also is great. The collection of linked essays works really well in my writing class, whereas the traditional memoir would fit well in my coming-of-age themed composition class. Oh, my, thanks for picking up on my slip, Richard! I have Such a Life on the bedside table. If the book makes it to my required reading list for the honors course on memoir I’m teaching in the fall, this blog post will be the reason. All the traits you admire in Lee Martin, of course, are the very ones your own writing (and teaching too, I’m sure) demonstrates consistently. Thank you for another well-timed inspiration. Thanks! I actually have both books on the table. Sorry for the title slip. Wonderful! Inspiring. A must share!. Thanks for letting us “sit in” on the classroom visit with Lee Martin! I will have to pick up his book for sure. The three-month essay writing timeline sounds familiar. An essay is not something you can just whip out or plot. Actually, I don’t think I’ve ever written an essay in as little as three months! Often I have no idea what I’m writing about when I start, or even when I’m well into it for that matter. It’s something that definitely needs to germinate. Wonderful post, Richard. After reading Such a Life (thank you for the recommendation), I read Martin’s well-crafted, harrowing novel, The Bright Forever. Now I’m on a mission to read all of his published work (fiction and nonfiction). I have company in my reading, too. Once Mama read Such a Life, she told me (she never asks) to order all of his books. Glad I listened. I’m so glad to have introduced you to Lee Martin’s work. And I think your Mama’s got good taste.